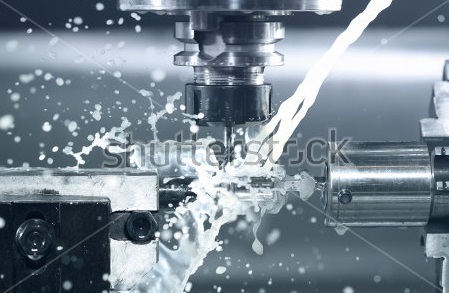 As part of our production services, Fruehauf Manufacturing offers precision CNC machining. Our machining department incorporates both CNC and turret lathes, including multitasking three-axis machinery with live tooling capability that allows us to perform turning operations as well as others, such as milling, boring, drilling, and tapping, from a single setup. This promotes a very high degree of accuracy while accelerating cycle time. We heavily leverage our precision CNC machining capabilities as part of our prototype development process, but we also handle orders for low to high volume production. With our equipment assets, we have the capacity to perform lathe work for parts measuring from 0.25" to 12.0" in diameter and from 0.50" to 24.0" in length. We mill parts with dimensions as small as 1.0" wide x 1.0" long or as large as 32.0" wide x 46.0" long. Our weight capacity is 100 pounds. Using precision CNC control capabilities and CAM programming systems, we attain fast machining speeds and produce parts that exhibit a very high degree of accuracy and consistency. By tapping into our machining capabilities, we can uphold tolerances of ±.005" on ID, OD, straightness, concentricity, and length. Inside our machining department, we manufacture parts from an extensive series of metals, including aluminum, brass, bronze, and copper as well as stainless steel, tool steel, high nickel alloys, exotic alloys, and more. We also have the versatility to machine rigid plastics, composite materials, and other non-metals. As quality-oriented machinists, we use high-accuracy CMMs and other measurement instruments to verify that parts conform to specifications. We are a small and nimble company that offers impressively high quality, fast turnaround, and competitive priced CNC machined parts. Contact us directly to learn more.